THE ROAD. After a late-to-bed and early-to-rise (to watch the F1 from Suzuka) it’s safe to say I arrived a Heathrow a little tired. This is attested by the fact that I punched myself in the nose at the departure gate at Heathrow (I was getting the Sunday Times out of my rucksack, so I blame Rupert Murdoch…). Anyways, an Icelandair flight to Reykjavik (Keflavik), the Flybus to Reykjavik (domestic) and an Air Iceland flight to Akureyri later, Elly and I were checked into our hostel, Storholt , and headed to downtown Akureyri. This may be the local gay bar?! Bláa kannan – the Blue Coffee Pot – cafe bar was a much prettier nicer location (with cake!) for the cold Thule I’d been promising myself on the first night back in lovely Iceland. 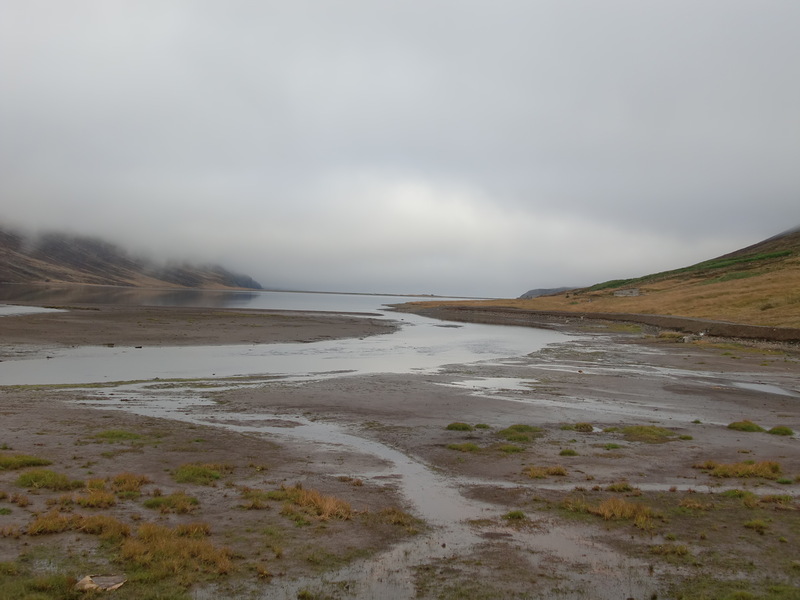 We headed north-west out of Akureyri, up the west coast of the Eyjafjörður fjord, stopping briefly in Dalvik & Ólafsfjörður before heading into the newly-finished tunnels under the mountains. The first, being single-file with absolutely no indication as to traffic priority, would have descended into a Chuckle Brothers style to-me-to-you farce if we weren’t deep into the offseason. 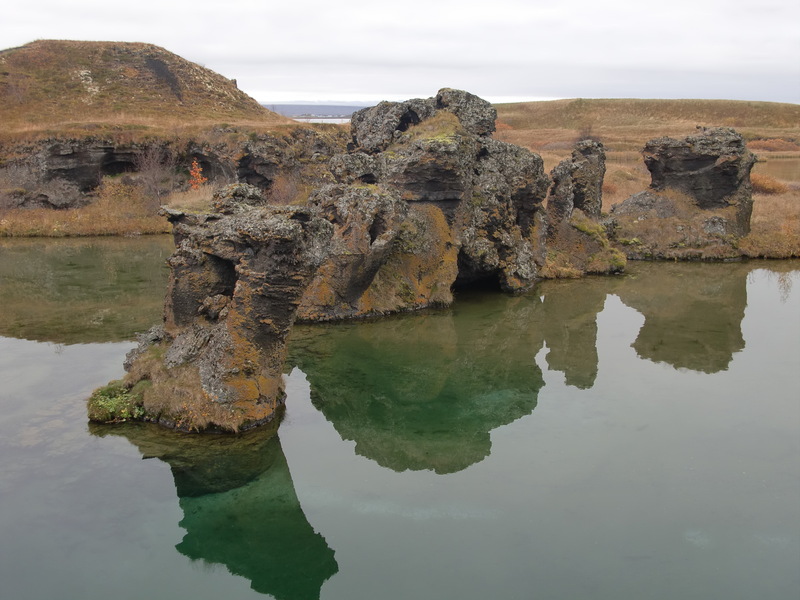 The second and third tunnels broke for air in the lovely setting of Héðinsfjörður. 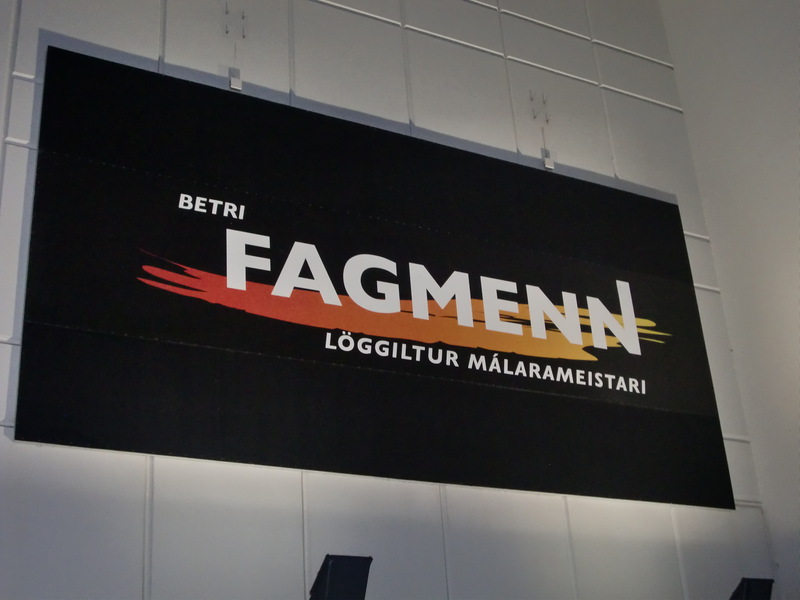 We reached Siglufjörður – “herring town” – to find the town’s main attaction, a museum celebrating the “herring years” (unsure if this is to do with the comedian Richard?!) was closed, as was most of the town at this time of year. 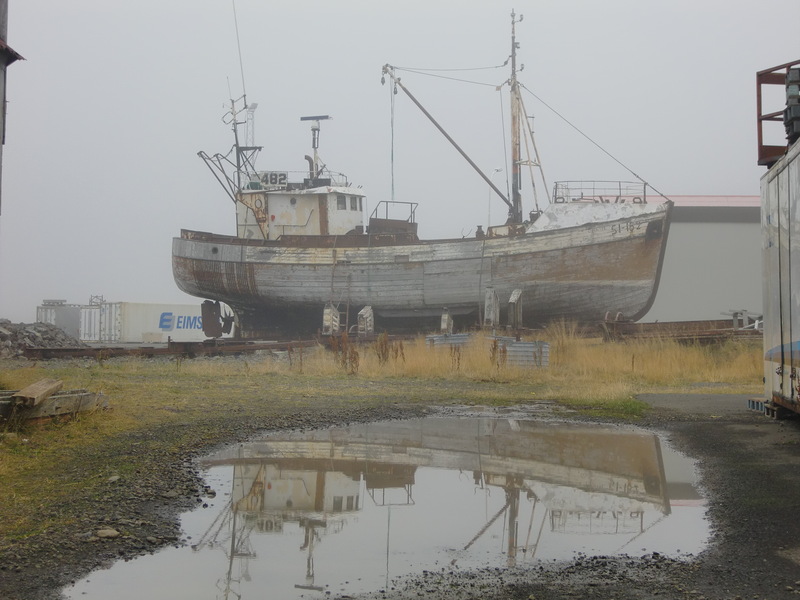 However there was a lovely craft shop and a rusting boat that reflected itself in a seepia tint into a muddy puddle. DAY TWO. 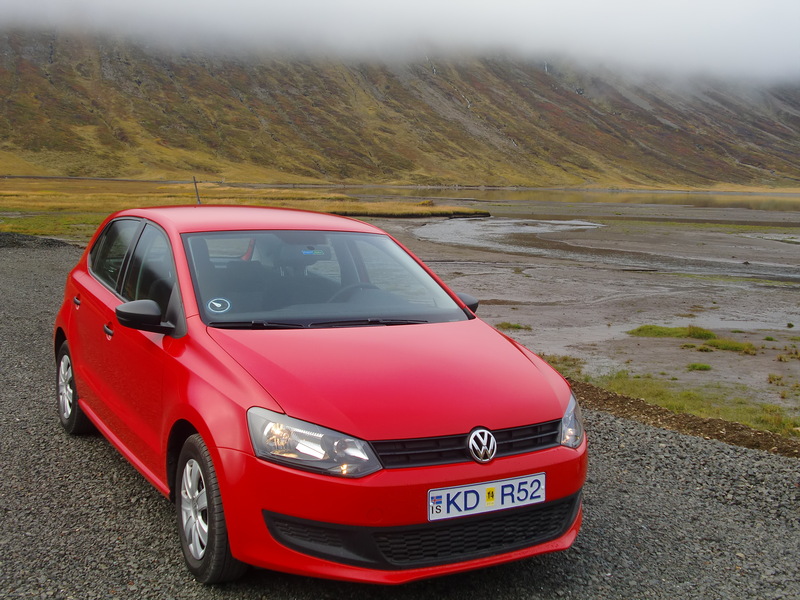 An early start to get the kilometres under the tyres, east out of Akureyri. 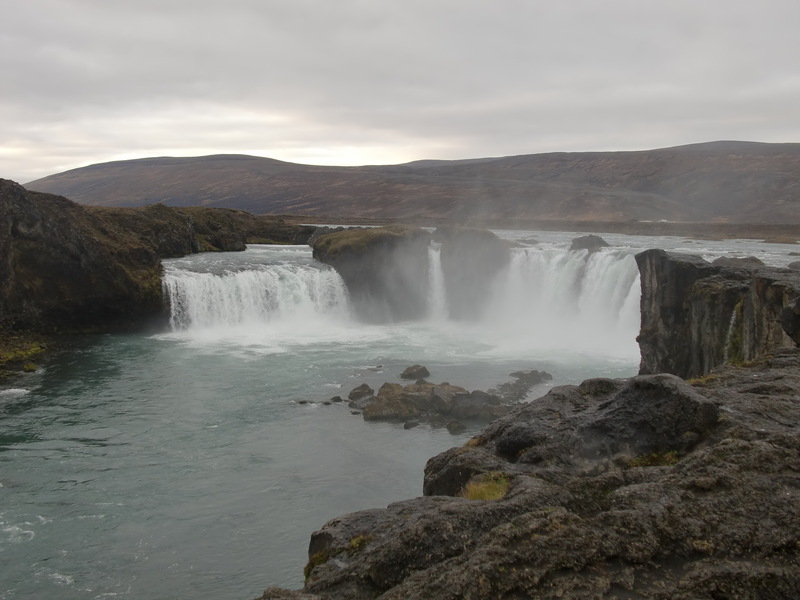 First stop was Goðafoss, the waterfall of the gods. Heading further eastwards we reached Lake Myvatn , stopping for a spot to eat, then to walk the shore near the strange lava formations standing in the lake at Höfði. 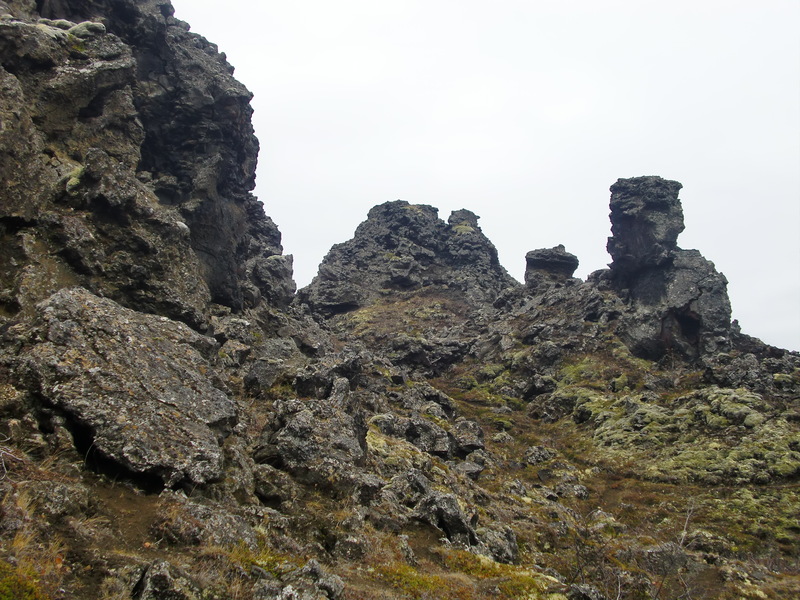 Dimmuborgir, it should be noted, is also the feted home of the Icelandic Jólasveinar or Yule Lads , a Christmas tradition. Also the inspiration for a Norwegian black metal band (fans of the latter mistakenly finding this page via Google should click here to return to the darkness!). Next stop on the anti-clockwise (hey, I got fed up of clockwise with all the Buddhist holy places earlier this year, and have been going the other way to counteract the dizziness!) lap of the lake was the mud pots and steam vents of the Hverir geothermal area. It just backs up my comments that parts of Iceland are like walking on the moon (and, in fact, it’s not far from Askja where Neil Armstrong, Buzz Aldrin and other Apollo programme astronauts trained for their moon landings). 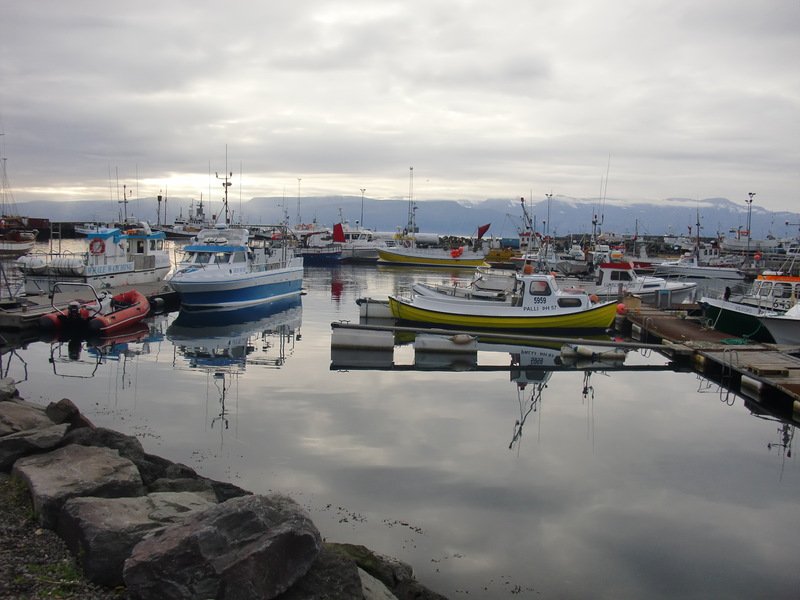 We then headed up to the coast to Husavik, the capital of whale watching. Unfortunately we’d missed the only whale watching boat of the day and the Icelandic Phallological Museum (yes, really !!) was closed for the winter, with it being low season. Instead we went to the whale museum, where I learnt a lot about something I never really knew that I didn’t know anything about, if you catch my drift…? 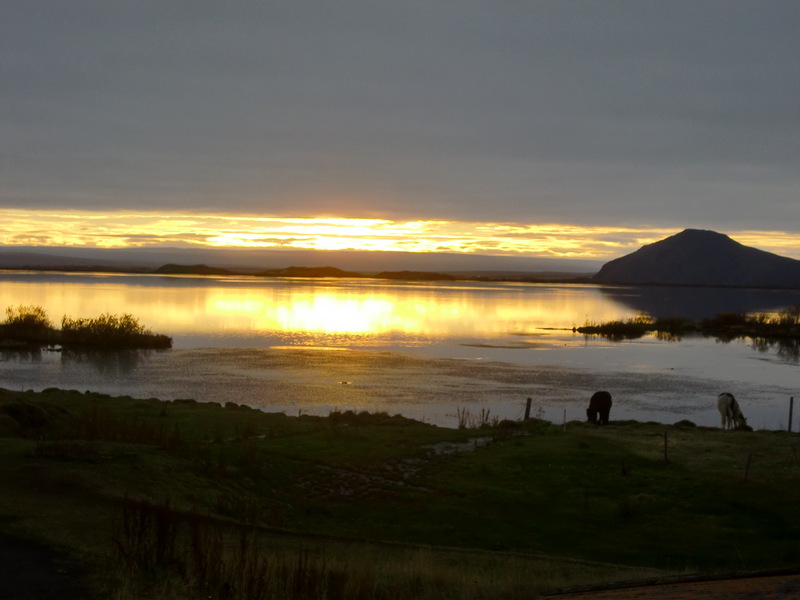 Finally, back to Myvatan to see the sunset, relax in the hot springs at Myvatn Nature Baths and look (in vain, as it turned out, for the Northern Lights). Shame about not seeing the Northern Lights. Again. Means I’ll just have to keep coming back to lovely, lovely Iceland. Obviously I’m really upset about that…!